Chappy’s Wish has come true, once again – And it’s all thanks to our amazing customers! If you purchased a gift from the ‘Chappy’s Make-A-Wish Collection’ in 2018, you have contributed to this fantastic fundraising cause. $5 from each Chappy’s Gift sold was donated directly to the Make-A-Wish Foundation. A grand total of $8,075 was raised in 2018. Over the last 25 years, we have donated more than $250,000 to help the wishes of sick kids come true. Since 1985, the Foundation has granted more than 10,000 wishes, and we know that the ongoing support for this gift range has helped to make this possible; so thank you. The Chappy’s Make-A-Wish Gift collection is named after the 2nd Generation Charlesworth Nuts Owner, Chappy Charlesworth (Father of the current owners, Mark & Brett) who had a passion for this cause. It feels like a long way away yet…but when December rolls around in 2019, look out for Chappy’s Make-A-Wish Collection. You will be giving twice by buying these gifts. If you would like to read some of the fantastic Wishes granted to kids around Australia, please visit the Make-A-Wish Website. Left: Chappy’s Make-A-Wish Collection 2018, Christmas Gift Range. $5 From each gift sold was donated to the cause. 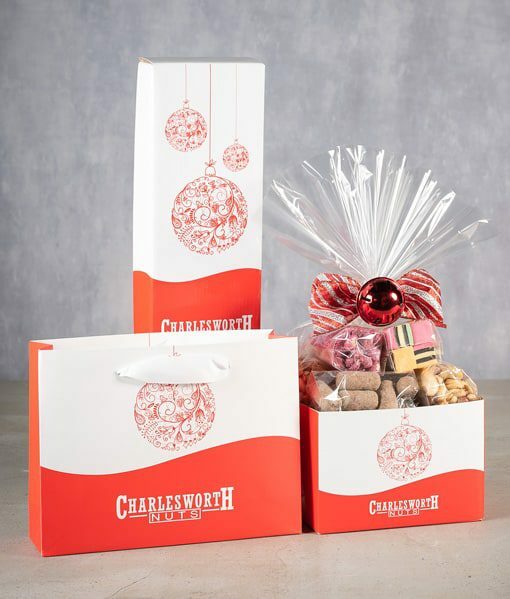 This entry was posted in Charlesworth Nuts, Gift Baskets, News. Bookmark the permalink.